Strep throat is more severe than a sore throat and it involves antibiotic treatment. In the past, the first choice in the treatment of these bacterial infections was penicillin, but many bacteria developed immunity to this antibiotic which made necessary the use of stronger ones like clarithromycin and erythromycin. Appropriate treatment determined the resistance of most bacteria to penicillin to increase. For a treatment to be effective, it is necessary to follow strictly the prescription given by your doctor when it comes to antibiotic treatment. 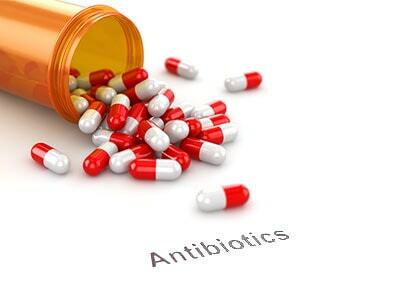 The changing of dosage or the interruption of treatment before the term determines the recurrence of the infection and increase the resistance of bacteria to antibiotics. The majority of doctors consider nowadays that, because of the large number of side effects antibiotics may generate, it is recommendable to limit their use to the severe infections, the ones that may evolve into otitis, tonsillitis or acute rheumatoid fever. The specialists further say that antibiotics should be avoided as much as possible in strep throat cases that affect old people or children. According to those who contest antibiotics, easy forms that don’t seem to involve future complications require no antibiotics at all. Traditional medicines used antibiotics not only to eradicate the infection with streptococcus bacteria but also to reduce the risk of acute rheumatic fever, a complication of strep throat that was fatal in many cases. Nowadays, the cases of acute rheumatic fever are very rare and the disease is no longer considered a menace. Because of the side effects they may develop in patients, antibiotics are not safe treatments. Even their efficiency in the eradication of Streptococcus bacteria is a very controversial problem. The opinions concerning this matter are different from one doctor another. Even the results of medical research varied widely over the years: in the 50’s they were considered not to be particularly effective for the treatment of strep throat while the 80’s emphasized their extraordinary curative properties. The conclusion of researchers regarding the efficiency of antibiotics for strep throat was that there is a number of factors that influence it, like the patient’s age, the patient’s strep throat history, inappropriate treatments, etc. We must not forget that the side effects of antibiotics may be severe. Such effects are digestive problems, increased risk of fungal infections, lowering of the immune system’s resistance. Another important aspect to keep in mind is that they are not effective in 100 % of the cases. Considering all this, the use of antibiotics should be avoided for mild forms of strep throat.